We are here to help abused women and their children break the cycle of violence in their lives by offering safe, confidential shelter and services. Some communication over the Internet is NOT confidential and can be traced. Please call us if this is a concern. Additionally, if you are concerned for your safety, click here to learn how to clear website history from popular Internet browsers. 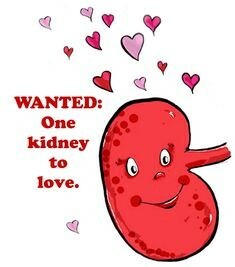 314-362-5365, option 4 or 800-633-9906 option 4.
name of our staff member who is in need of a kidney. She is the amazing Diana Camren.